Weather plays the biggest role in the amount of energy that gets used, and is one of the biggest impacts on energy bills. Bill-payers typically see their highest bills after the hottest and coldest months. If you are paying the bills for your property, conserving energy will drastically increase the potential for savings. You may also find that you will face fewer maintenance issues, since older appliances are more likely to act up. 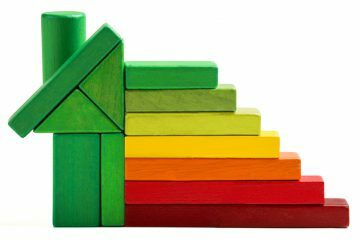 Even if it is your tenants who pay the energy bills, making eco-friendly improvements will increase the overall value of your property. 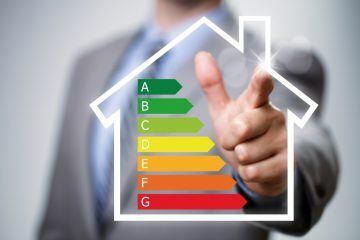 There is now a huge move to become more energy efficient, so new upgrades make a property more attractive to potential buyers. 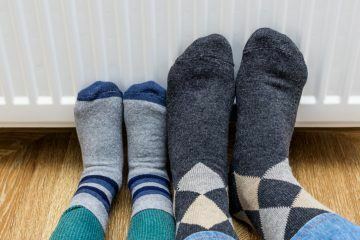 There are many cost-efficient ways to improve your property’s carbon footprint during the wintry months. A good start would be to invest in low energy appliances. Energy star-qualified appliances use 10-50% less energy than their standard counterparts. With an Energy Star washing machine, you can also save up to 50% more water. Picking the right kitchen appliances can also have an impact. Kettles use a lot more electricity than you might expect; on average, it costs 2.5p to boil a kettle of water, so be sure to get the most energy efficient kettle you can find. Keeping your boiler serviced and upgrading it to a more efficient model every ten years will also reduce energy consumption. Those with a bigger budget could consider swapping wall radiators to underfloor heating, which is much more efficient. While traditional wall radiators need to reach temperatures of between 65-75°C to heat up an entire room, underfloor heating only needs to run at 29°C, conserving energy and keeping bills down. A lot of energy is used when electrical devices aren’t even in use. 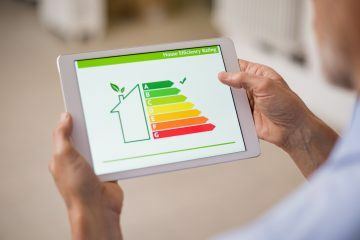 According to the Clean Energy Associates (CEA), consumer electronics account for 13% of home energy use and can cost up to £145 a month by just being left to charged or on standby. There are several companies, such as Green Plug, that give devices the exact amount of power they need. Once fully charged, Green Plug automatically cuts the power, saving energy and money, and a worthwhile investment for the environmentally conscious. Using energy saving devices can help to reduce electricity consumption by 41%. For individual appliances, using a green plug with a bedroom TV could provide you with a saving of up to 53.6% and, for a lamp, you could save up to 40.2%! Even your choice of furnishings can help with energy conservation. If you provide your tenants with furnishings, choosing curtains over blinds is good to keep the heat in when it’s colder. Similarly, placing rugs over wooden floors is another way of conserving heat and can save 4- 6% on energy bills. Switching to energy efficient windows is a good way of keeping your property warm in the winter. If your windows need replacing, consider fitting double or triple glazing. This will reduce heat loss through the glass. Making sure your roof is insulated is another simple thing you can do, which means that your tenants are spending less on heating. Uninsulated homes lose a quarter of their heat through the roof. While you may not be able to control how much electricity your tenants use, you can adopt some of the discussed measures to help conserve as much energy as possible, making your property more energy efficient and helping your tenants to save money on bills. One of the easiest ways to be more energy efficient is to replace your old halogen light bulbs with CFL or LED alternatives, which require a third less power to run. Similarly, carrying out simple maintenance works can help to reduce the gas and electric bills. Some of the smallest things can make a big difference. Make sure that you seal up any cracks around windows and doors to keep heat in. Even if you have invested in triple glazing, if there are cracks around the front door, heat will still be able to escape. It is also recommendable that you regularly clean HVAC filters. A HVAC unit that is cleaned every month will run a lot more efficiently.